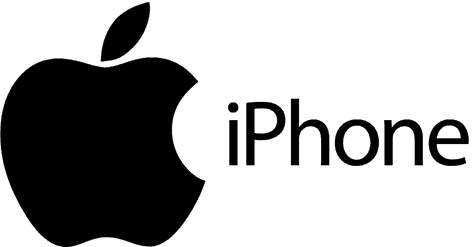 Every year, we wait patiently for the latest iteration of the iPhone. With each year, we wait for leaks, make predictions and build up tension and excitement as we get closer to the actual release of the new iPhone in the Summer. This year is no different. With the recent sales figures of the iPhone 6s and 6s Plus not meeting investors’ hopes, a lot of people are expecting more from this year’s iPhone 7. So, what are the features we expect the most from the iPhone 7? Here are some of my personal wishes. I think it is safe to say that Apple will not be joining the megapixel race after all. The iPhone 6s and 6s Plus both come with 12-megapixel cameras, a resolution far lower than what other phone manufacturers are offering. That said, iPhones have always had the best cameras on the market in terms of quality. I would really love to see the iPhone 7 with a camera module that has at least the same megapixel count as the iPhone 6s, but with optical image stabilization. I don’t mean just for the larger model (presumably the iPhone 7 Plus) but on the basic model as well. Optical image stabilization, combined with Apple’s class leading image processing technology, will certainly make the iPhone 7’s camera superb once again. With the increasing demand for good video capabilities, OIS will certainly be a great addition to video shooters out there. The sensor behind iPhone 7’s camera also needs to be better. The latest report from DXOMark – a website usually known for its bias towards Apple products – actually rated the iPhone 6s camera sensor to be slightly inferior to those of today’s best Android flagship phones. A bump in sensor capabilities, dynamic range and low-light performance are certainly welcomed. Don’t get me wrong; the screens of iPhone 6s and 6s Plus (as well as the previous iPhones) are great. They are sharp, detailed and very pleasant to the eyes. They are, however, not the best in their classes. Wishing for an OLED-based screen is definitely not something I – or we – should do here, but expecting an increase in screen resolution and pixel density should be quite fair. For Apple to continue to use the 1334×750-pixel screen is simply unacceptable. It needs to do better in order to keep up with its competitions. Even the lower-end Android phones now pack 1920×1080-pixel screen resolution. One of the reasons why iPhones use its current screen resolution is battery consumption. More pixel means more energy to operate them, so it is fair to assume that the engineers at Apple are sticking with the current resolution simply for better battery performance in general. On the other hand, iPhone can certainly have bigger batteries without a noticeable increase in size. I mean, look at the 12-inch MacBook and its leading battery technology! I’m sure Apple can construct a better, bigger and more durable batteries for the iPhone 7 and iPhone 7 Plus.